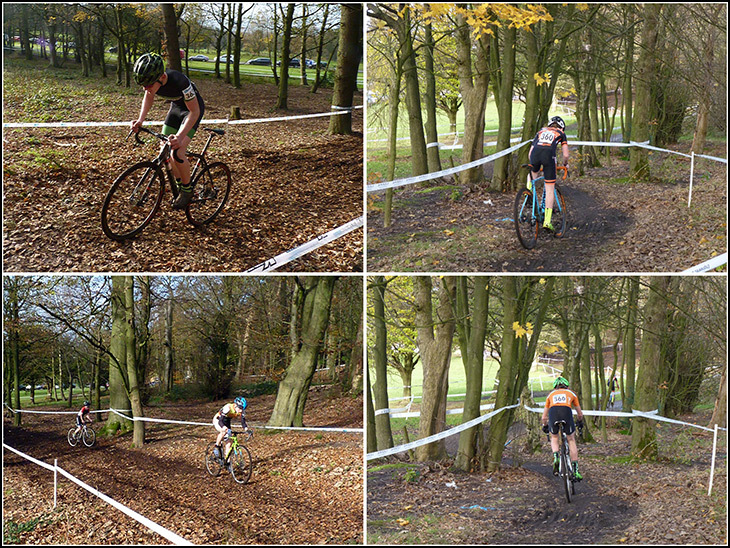 Here's a collage of photos taken of the cycle cross racing in Haigh Plantations. Very good Harry, shows the plantations from a new angle. Nice to see a properly organised cycle event. Here where I live in Norfolk we get mountain bike riders riding on footpaths in the woods, churning them up at this time of year & woe betide you if you are in their way.. Some Cyclist on the road are the worst, they think they own the road. Go through traffic lights on red, ride together side by side, ride on the pavement, many don't even have lights or red reflectors at the rear. But some cyclist do obey the law, they are the ones with crash helmets and hi-viz clothing and can be seen at night or early mornings. The buggers who run red lights and get caught should be sent disarming UXB's , they would soon learn the difference between the colours red and green.!!! Your IP No. (34.228.38.35) will be logged.